It is that time of year when everyone seems to polish their crystal globes and share predictions for the year to come. I am wary of such practices because we spend so much time with an eye on the horizon that we stop to reflect on the past and what we can learn to assist us in the present. Drop ‘digital’ – The workplace is constantly in a state of flux. We have been wrangling how to collaborate-in-place (whether it be physical or digital) for some time. Predictions are used to convey an understanding of the environment and a certain level of expertise. Unfortunately, it is difficult to suss out the true expertise amidst the plethora of predictions, and as a result, many companies take these predictions and try to force fit company / individual solutions rather than seeking out fit-for-purpose through scenario planning exercises (developed specifically for the company). I am a fanatic about scenario planning…I better be considering it is one of the two business tools I have been researching for the past four years to support my dissertation. You do not need to be a futurist or contract a consulting agency to craft your own scenarios. All you need is some thinking time. I know – Easier said than done. I do not recommend devising or evaluating scenarios in 15-minute increments between meetings, but I have found December to be a fine time for this work because many companies have a freeze on technology or new spending/projects and essentially shut down the last two weeks of the year. No matter what time of the year you choose to embark upon your scenario planning challenge, ensure you set aside a good chunk of time to engage in this deep work. Similar to many of the catalysts igniting the digital age in the 1960s, world events also influenced the way business strategy was being discussed and designed. The academic practice of scenario planning began with Herman Kahn’s work assessing the possibility of nuclear war and economic uncertainties of a potential boom in the 1980s. Scenario planning came into the business mainstream in 1971 within the Royal Dutch/Shell Company under the vision of Pierre Wack and Edward Newland (Schwartz, 1991). It is this process of examining potential futures and structuring narratives to influence business leadership and decisions adopted by Shell and other business titans over the course of three decades that will be the focus of this study and ultimate creation of a final framework adapted for cultural institutions. Futurist and president of Global Business Network, Peter Schwartz, captured the theory of scenario planning in bestselling publication, The Art of the Long View, in 1991. Schwartz learned scenario planning under the tutelage of Pierre Wack. Scenario planning was crystalized for the business community formally in 1985 as part of a pivotal two-part Harvard Business Review series, ‘The Gentle Art of Reperceiving’ and ‘Shooting the Rapids,’ penned by Pierre Wack. It is this initial article that began to make transparent the “special sauce” employed by Royal Dutch/Shell to escape financial and industry turmoil in the 1980s (Schwartz, 1991). Wack introduced scenario planning as a shift in managerial mindset from the traditional forecast planning. Scenarios are a set of hypotheses with three prerequisite conditions of relevance, coherence, and likelihood (Godet and Roubelat, 1996). Scenarios are developed from “outer space,” meaning they incorporate information external of the company, such as business cycle information, technology trends, demand and supply pricing, and more quantitative variables (Wack). This type of data crowds the pages of forecast planning, yet does not address the “inner space” or the mind and personal factors managers use to judge these scenarios for potential business strategy and outcomes (Wack). Scenario planning bridges the inner and outer spaces to surface the unknown and challenge assumptions required to address and influence actions of decision makers. Wack emphasizes the required philosophy embracing scenario planning is understanding the power of responsibility and ripples of impact at all levels and various timelines. Wack states, “…power comes with an understanding of the forces behind the outcomes. Scenarios must help decision makers develop their own feel for the nature of the system, the forces at work within it, the uncertainties that underlie the alternative scenarios, and the concepts useful for interpreting key data (1985).” It is useful to understand what resources the organization has at any given time and the extent to which those capabilities may be affected. The maturity model serves as the business object to understand the current state, but the value is only reaped when this understanding is paired with the drivers, interdependencies, and trends of possible futures impacting the tasks and timeline an organization may or should take to optimize assets. The elements of forecast planning are essential ingredients for a scenario to plant inside the mind of a manager. Wack calls this process “rooting” because a narrative without such predetermined data “would be effective and alive in the minds of managers as long as a tree without roots (1985).” The futurist maintains the image of the tree to further relate scenarios to cherry trees where the fruit is not born on the trunk or larger boughs, but the smaller branches (Wack). The fruit of labor that is the outcome of a scenario requires the extraordinary foundation of the tree trunk, the protection and resourcing of the boughs, and the focused and agile investment channeling through the smaller branches. The tree is part of an ecosystem fueled by specific nutrients derived from its environment, developing a unique signature or terroir. The scenario outcome or fruit is only as sweet and rich in flavor as all of the elements required for it to take life. Academia is not short on models or frameworks devised to shed light on topics of interest or bearing on cultural institutions and when aligned with thinking inspired by Wack, “scenarios can effectively organize a variety of seemingly unrelated economic, technological, competitive, political, and societal information and translates it into a framework for judgment – in a way that no model could do (1985).” Just as a cherry tree could not take hold on the Arctic, scenarios are meant to represent different worlds with various outcomes that are consistent with the internal fundamental structure or life force of the cultural institution. Scenarios represent the many pathways to achieve that life force (Wack). There is no one right answer, but a small number of narratives exploring these pathways that when synced with capability status of a maturity grid, will prepare an organization to weather any circumstance and bear fruit for the next generation. What areas should we be questioning? Many organizations take steps to question and plan for the future. While these actions are commendable, some of the planning exercises may be causing more harm than good by advocating deterministic thinking and unintentionally supporting the assumptions of decision makers. Schwartz recommends asking the following open questions to begin mapping the gaps and opportunities of the organization: “What challenges could the world present me? How might others respond to my actions (1991, p.3)?” Scenario planning is not limited to thinking or planning about negative-based futures and may also be applied for organizations dreaming about greater opportunity and viability in the years to come. Scenarios are narratives constructed around various plot points of quantitative and qualitative data that paint a distinct worldview for that scenario (Schwartz, 1991, p.4). Change is difficult for a company of any size in any industry. True transformation occurs when actions and mindsets align towards mutual positive outcomes. Wack termed this behavior modification as “reperceiving” or to sync one’s reality with reality as it is perceived or may become in time (Wack). The end result is not to prescribe exact outlooks, but begin emotional and actionable tangible preparations for addressing any significant potential future. These early futurists pioneered the blend of art and science that would become the art of the long view Schwartz and the next generation of futurists would document and explore. Consider using the digital workplace predictions drafted by Paul Miller of the Digital Workplace Group to begin crafting your own possible, plausible, and probable scenarios to aid in your decision making and investment processes. This is hard work. It is messy work. You may encounter the pressure to produce tangible, actionable, and agile results, but the process of benchmarking and scenario planning is the necessary and actionable work required for a solid digital ecosystem foundation and flow of information. If you would like examples of well-crafted narratives, check out Trendswatch 2018 by the American Alliance of Museum’s Center for the Future of Museum, depicting four narratives set in the year 2040. … You don’t have to be a cultural institution to benefit from these examples. The narratives were drafted by CFM by crowdsourcing ideas from the museum community. Share this challenge with your community by asking them to help think about what the world would be like for your company in five, ten or twenty years. Last week, I had the opportunity to keynote the Intelligent Content Conference (ICC – follow #intelcontent for great conference take-aways) and deliver an expanded presentation about how I have used urban planning principles to reignite my social media/community inspiration and reimagine the digital ecosystem. 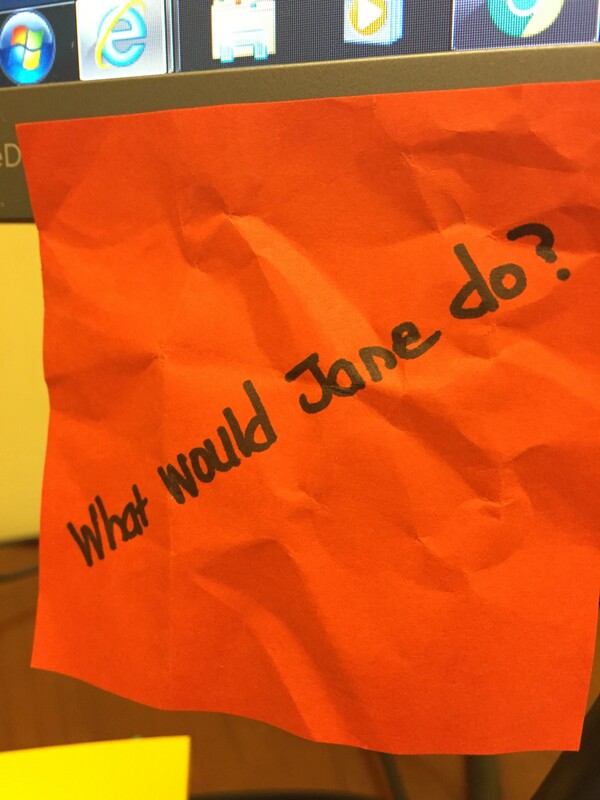 Following me from computer to computer, I have a crumpled Post-it note and in Sharpie, it reads: What would Jane do? Jane, as in, Jane Jacobs – activist and God Mother of urban planning revitalization. Her book, The Death and Life of Great American Cities first published in 1961, rocked my world. Jane took on the status quo to combat the breakdown of the physical community as an outcome of expansive highways cutting through and eradicating culture to further urban sprawl. The problems Jane discusses in the book and her subsequent works (Vital Little Plans is a collection of her shorter works and my favorite publication, if not the easier to read/digest) may be over 40 years old, yet reflect classic change management problems and community behavior regardless of physical or digital space. The following quotes are Jane’s words. Before people can participate in any form of social media or community activity there needs to be an understanding of the social contracts and constructs in place. With the ICC audience, I shared the organizing principles I have created in previous roles and honed over time and now the basis of any digital transformation effort. These principles encompass the reimagined digital ecosystem and are meant to be daily reminders and guardrails to compliment any use case and project timeline. There is no end… These principles cover establishing truths, fostering an information ecology, consistent (and understood) and transparent measurement, platform and system integration, business accountability, and establishing a historical account of policy, process, and technology decisions. I have said it before – governance is the most unsexy part of any digital transformation effort, but the most powerful. You pay now, or you pay later. The choice is yours. Governance is not a one-and-done activity, but ongoing and must include different voices and perspectives from all business areas and at all levels, to really gain traction. What appears as chaotic, does have a sense of order if you tune into the mindset to observe and analyze for patterns. There are a number of actors with responsibilities on and off the stage and no performance is ever the same. Establishing governance is not a concerted activity to make every building structured with the same gray, faceless façade or (even worse), the same brick and colored awnings for each and every business. The utilities and construction of the scaffolding of social media and community activities require same or similar elements, but how the community manifests itself in design and tone, varies. I used to negatively react to being pigeon-holed as the ‘governance’ person, but as I have become more seasoned, I am not running away from this classification. When you have barriers, there is focus and a challenge to be creative within parameters and an obligation to push those boundaries. I look at my Post-it, re-read Jane’s words and pretend she and I were chatting about the challenge over tea. What would Jane say to me? What would Jane do? Last week, I introduced you to a five-step process I am practicing to apply urban planning to online community building and management. It is time to explore the first step and build our foundation and understanding of our digital ecosystem. 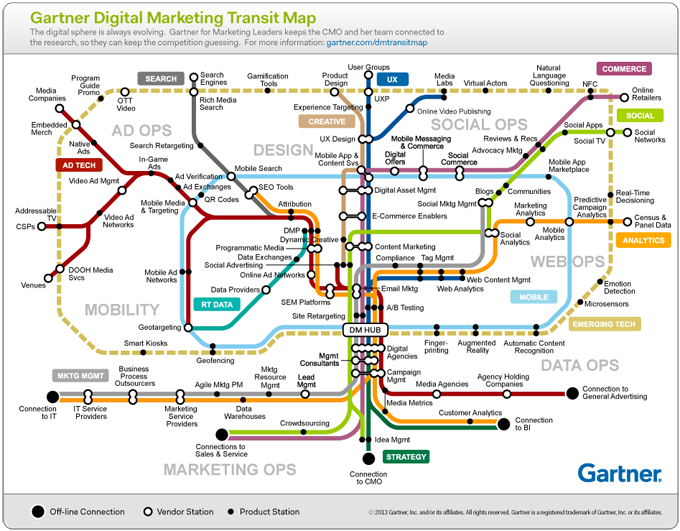 How many are familiar with the Garter Digital Marketing Transit Map? Cool concept and visual, but the structure is repeating the same structures and silos we have been “talking” about breaking down. Take a close look at this image. Yes, all areas are connected, but none are integrated. Before we can discuss integration, we need to know all of our customer/member touch points (how and where they interact with the company on and offline) and all of the organization’s internal and external support systems and technology. For some, this exercise will be brief. For others, this will be a painful scavenger hunt. As you go through this identification process, I highly recommend you keep track of the business and department owner(s) of each item. This additional information will assist governance outreach. According to Gartner, the map “shows the relationships among business functions, application services and solution providers.” There are multiple hooks, people, and departments involved in every touch point and technology. It is difficult to display such relationships in parallel transit lines with overlapping stations. Gartner is trying hard to apply urban planning and design with this map design and the reference to neighborhoods on this image, yet neighborhoods that are vibrant are also diversified and dense. This map design looks like it is the product of an organization and not for the use and navigation by humans. Just like cities on a map, we are building destinations online. We are building and designing these online structures for organizations, not humans. This transit map from Gartner is a good start to apply urban planning methodology to digital ecosystem strategy to better understand gaps, opportunities, responsibilities, and the integrated role of social media. Take some time to sit down with your team and organization departments and figure out what you have, why you have it, and establish business owners. A simple spreadsheet will work. Create a simple tab for each transit line on the map. For every station, determine if you have this existing in your company, why/why not, and identify business owner(s). Don’t get bogged down into figuring out where these items belong within your digital ecosystem. We will discuss how to craft the ideal online neighborhood and digital ecosystem next. Community management posts have become a bit stale. There are a lot of people saying the same thing. Not that any of this content is not worthy (although some of it is questionable depending on source and experience), but it is a lot of the same direction regurgitated or repackaged in a BuzzFeed approach. Over the past two years, I have thinned out the community management and digital voices I was listening to and started to look outside our industry for inspiration. A year ago, The Community Roundtable (one of the few resources I kept on my radar because of quality of content and internal discussions) invited Thomas Vander Wal to present about the links between community management and urban planning. Instantly intrigued, I took copious notes and read the recommended book, The Death and Life of Great American Cities by Jane Jacobs. The original copyright of this book is 1961, yet many of the messages in the book are timeless. I read the 50th anniversary edition and covered the book in highlighter and Post-It notes. The blog discussions led to the reading of The Walkable City: How Downtown Can Save America, One Step at a Time by Jeff Speck (check out the TED video), The Happy City by Charles Montgomery, and Smart Cities: Big Data, Civic Hackers, and the Quest for a New Utopia by Anthony M. Townsend. 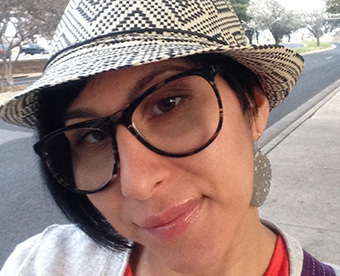 All three authors reference Jacobs and build on her original ideas to propose a user-centric environment. Many of the same urban planning principles and phrases used in the books I also found referenced in online development resources. Websites, social media networks, mobile solutions, and other digital assets are being created by organizations to serve one or several communities. We are building online cities. The spark was lit. For the first time, in quite a long time, I was inspired to once again discuss community management, and present best practices with fresh perspective. Earlier this year, at SoloPr Summit, I mustered my courage to present on this topic and was encouraged by the positive reaction to the connections I was proposing. Over the next several months on this blog, I will outline the links between community management and urban planning and the five-step process I have already started to put into practice. It is time to go beyond theory, stop talking strategy, and forge a pathway that can only be discovered through action. Are you a person who has World Cup fever or are you the person completely turned off by the mentions of three games a day, the drama of a loss or win, and block all mentions of World Cup in your social networks? If you are in the latter category, I apologize. This post is not meant to latch onto real time events, but to convey a true observation. Last week, I was commuting from my company headquarters in Hartford, Conneticut to my home in Boston. The timing of the drive could not have been worse. I was stuck in traffic during the opening match of the World Cup. Surely I would be able to find a radio station live broadcasting the match? No such luck. I scanned the stations for ten minutes before I was so scattered and frustrated by the jumping channels that I gave up the search. I knew there were several Internet streaming options, but I was driving in an area with little to no signal. One last attempt to find a radio station broadcasting the live match was a success. This channel was not an English speaking channel, but a Spanish speaking broadcast. I recognized the rapid play-by-play tone of voice. Despite the language barrier, I strived to tune in and recognize player names and determine context of conversation based on the cadence of the broadcaster's voice. Now keep in mind, I am trying to be extremely attentive while listening to the broadcast….and driving. I survived. As did others on the road, but I do not recommend this listening refresh exercise if you are driving. Listening to the World Cup broadcast in a different language forced me to listen for keywords, phrases, and meaning hidden in layers of cadence. This was the best match I have listened to because I was completely turned in. Funny enough, I recreated the experience by watching live World Cup broadcasts in German because I was on holiday in Germany for the first several days of this event. Language is not a barrier, but a gateway to understanding all of the elements of voice and how we can become better passive listeners. Ultimately, by strengthening passive listening skills, we will become more comfortable expanding our role in active listening.